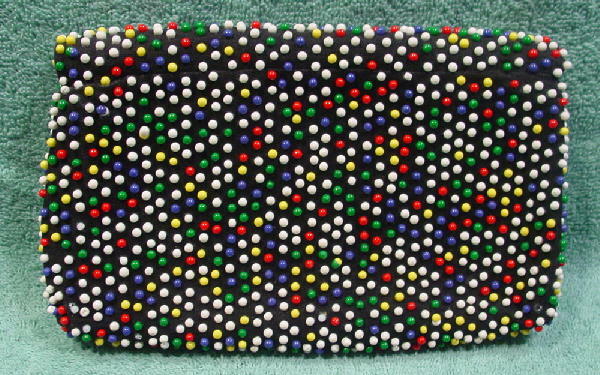 This vintage clutch purse has a black fabric backing and is covered with round beads in red, green, white, blue, and yellow. 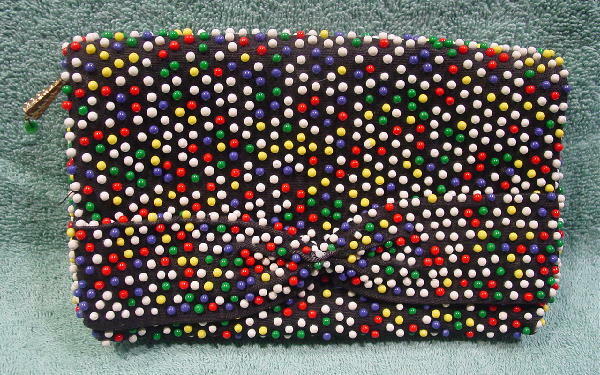 It has a full front flap with a bow covered in the beads very near the front bottom. 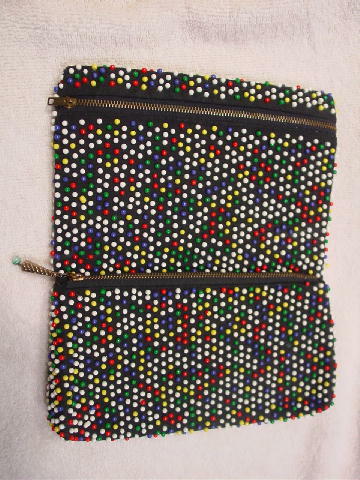 The flap flips upward to reveal a horizontal side to side zippered section. The lower interior bottom half has a side to side top zippered section. Both sections have a black fabric lining. The zipper was missing a pull, so Eden attached a gold-tone cone shaped pull (with an etched diagonal design) with a glass, blue, and white bead dangling from the end.